With the Premier League Season drawing to a close the only things we seem to know for sure are that a Manchester team will win the title and at least one Lancashire club will follow Wolves down. The sticking point that remains is which of the four teams Chelsea, Arsenal, Newcastle and Tottenham can secure two of the final Champions League qualification places. An extremely important point in this race will be viewed today at Stamford Bridge when our own Chelsea takes on surprise Champions League hopefuls Newcastle United. Lets face it , just like Chelsea have had a 'Cinderella' run in this year Champions League, Newcastle can boast of their very own Premier League fairytale. Having been promoted back last season, Newcastle have shocked everyone with their consistency and defiant spirit. Chelsea are coming of the back of a serious drubbing of relegation candidates Queens Park Rangers. A rare Fernando Torres hat-trick seeing Chelsea winning 6-1,their first London Derby victory of the season. Newcastle come of a shock 4-0 defeat at the hands of giant-killing Wigan at the DW stadium. 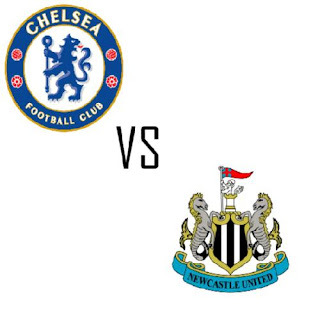 What remains to see is that will Chelsea carry on their form and demolish Newcastle or will Newcastle trump Chelsea at its home ground. Following a spell of extremely encouraging results which see Chelsea reaching the Champions League and FA Cup finals it is no doubt that Chelsea will start the game as favorites. A win here will see them temporarily leapfrog Tottenham before their trip to relegation threatened Bolton. A much needed boost in the form of a rejuvenated Fernando Torres and the return from suspension of Branislav Ivanovic will provide relief to Chelsea. 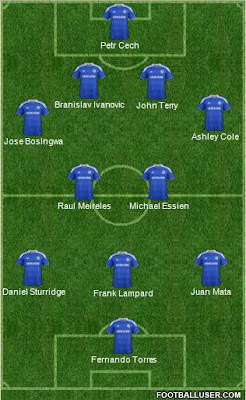 Despite all this Roberto Di Matteo faces selection headaches as Goalkeeper Cech has called for unleashing both Torres and Drogba on an under-pressure Newcastle squad. The Chelsea defense will have to work extremely hard in order to prevent a red hot Papiss Cisse from scoring who has been phenomenal since his summer move. Chelsea will also look to close down midfield maestro Yohan Cabaye and tricky winger Hatem Ben Arfa.